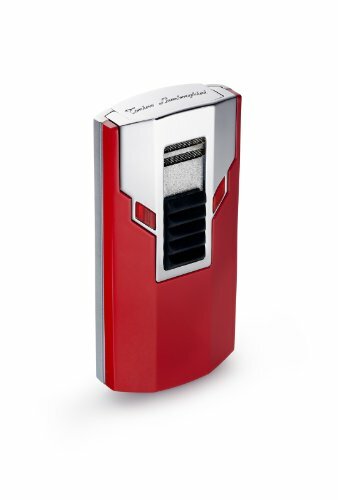 This lighter by Tonino Lamborghini has a stainless steel body and red lacquered front. Red garnet stones accent the red lacquered body. This single action lighter requires just a press down of the black slide button to release the single jet flame.